The attorneys general of 50 states and the District of Columbia have reached a $95.9 million settlement with USA Discounters over allegations that the company used deceptive marketing and unlawful debt collection practices targeting military servicemembers. The company, which also does business as USA Living and Fletcher’s Jewelers engaged in unfair, abusive, false and deceptive acts and practices, the states charged, including targeting servicemembers and hooking them into deceptively usurious loans, false advertising and illegal collection practices. The company would also sue servicemembers out of state where they were unable to defend the action, ultimately taking default judgments against them. “This agreement holds USA Discounters accountable for its illegal conduct and compensates servicemembers and veterans for the harm it caused,” said California Attorney General Kamala D. Harris. 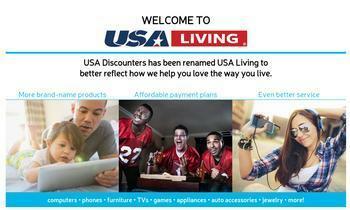 USA Discounters sold consumer products, including furniture, appliances, televisions, computers, smart phones, jewelry and other consumer goods on credit it provided. The company targeted members of the military and veterans, touting that military, veterans and government employees would never be denied credit. The AGs charged that, besides the other violations, USA Discounters constantly contacted servicemembers’ chains-of-command and caused some servicemembers to lose security clearances and face demotions. The states also alleged that USA Discounters only filed its lawsuits in a few Virginia jurisdictions, no matter the servicemember’s location, deployment status, or residence. In addition, the states alleged USA Discounters sold overpriced household goods at high interest rates, often using the military allotment system to guarantee payment. USA Discounters closed its stores in the summer of 2015 before later declaring bankruptcy. Under the terms of the resolution, USA Discounters will provide relief to certain former and current customers. The total estimated value to consumers for these restitution measures is approximately $95.9 million, primarily benefiting active and veteran servicemembers.